The Business School of the Institute of Chartered Accountants of Sri Lanka (CA Sri Lanka) conferred Master’s Degrees and Postgraduate Diplomas on 118 graduates at the 2016 Business School Convocation held recently. A total of 55 students successfully completed the Master of Business Administration (MBA) and the Master of Project Management (MBPM) from the University of Southern Queensland (USQ), Australia, while a total of 63 students were conferred wi th the Postgraduate Diploma in Business and Finance. The convocation was held under the patronage of the Chancellor from the University of Southern Queensland Mr. John Dornbusch, who was the chief guest while His Excellency Tim Huggins, Deputy Australian High Commissioner in Sri Lanka, Professor Janet Verbyla, Senior Deputy Vice-Chancellor University of Southern Queensland and Professor TalalYusaf, Executive Director USQ were the guests of honour. Extending his congratulations to the graduates, President of CA Sri Lanka Mr. Lasantha Wickremasinghe said that the graduation was a great achievement to the 118 graduate, and such dedication towards enhancing their knowledge for professional excellence is a requirement if they are to survive in the current complex business world. “The dynamics of both the corporate world and the global economy are changing, and as professionals, it is imperative that you are prepared to take on the new challenges as well as the opportunities, therefore education and skills, along with experience will continue to be corner stones of your professional success,” he said. Mr. Wickremasinghe said that as a graduate of the Business School, this was the beginning of a world of unlimited opportunities for the 118 students of the Business School. “But that doesn’t mean that this is also the end to your learning process. So, I encourage you to continue learning, and to enhance your knowledge and remain relevant at all times,” he said. Chairman of the CA Business School Mr. HeshanaKuruppu said that hard work is an essential pillar in a professional’s journey to be successful. “As you graduate with a globally recognized MBA and a Postgraduate Diploma from the CA Business School, this indeed is reason for celebrations as you have arrived at this important juncture after long hours of hard work and dedication, in your journey to be a professional of excellence,” he said. He also noted that the CA Sri Lanka Business School has made vast strides in an impressively short period of time, and is today among the most recognized Business Schools in the country offering a multitude of locally and globally recognized qualifications for the progression of the country’s discerning professionals from both the accounting and non-accounting streams. 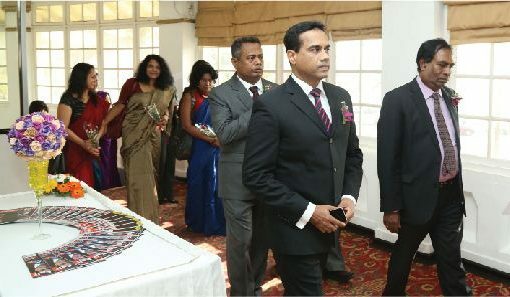 CA Sri Lanka Chief Executive Officer, Mr. Aruna Alwis said that professionals can no longer remain static if they are to succeed in their chosen career paths; therefore education both at an academic and professional level is vital if they are to succeed in today’s ever demanding and constantly changing world. 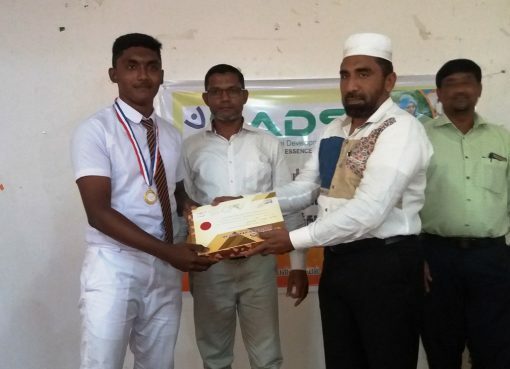 “I congratulate you for understanding the importance of progressing in your career by following programmes which will help you inch closer towards reaching the top,” he said. Mr. Alwis also assured that the CA Business School will continue to dedicate its services toward ensuring the upliftment of professionals in Sri Lanka by offering specialised programmes of global repute.